The air filters of HVAC and AC systems supply a valuable service by removing contamination from the indoor air. These contaminations can contain spores, pet dander, dust, pollen, pet hair and so on. All the air that is circulated in your house by an HVAC or an AC system goes through the air filter at some point. If you have the wrong air filter or the filter is dirty, all air filter problems start to happen. These issues can contain increased indoor air impurities to entire an HVAC or AC system failure. Let’s have a close look at some air filter problems and find out what to do to prevent them. With the lapse of time, dust and debris start to clog the air filter and make the filtration membrane material denser. As a result, going through the air filter effectively is becoming more difficult. The HVAC or AC system in your house will not heat or cool evenly. Since the air does not blow through the ductwork effectively and into other areas in the home. You will notice cool and hot spots from one room to another. The HVAC or AC system is operating for a long time to reach the desired temperature. The blower fan and other parts of the system must run harder to operate every heating and cooling cycle. It puts a strain on the HVAC or AC system, and it results in high electricity bills, early aging of the system and decreases the lifetime of the heating or air conditioning system. The heating or air conditioning system may overheat or freeze up. 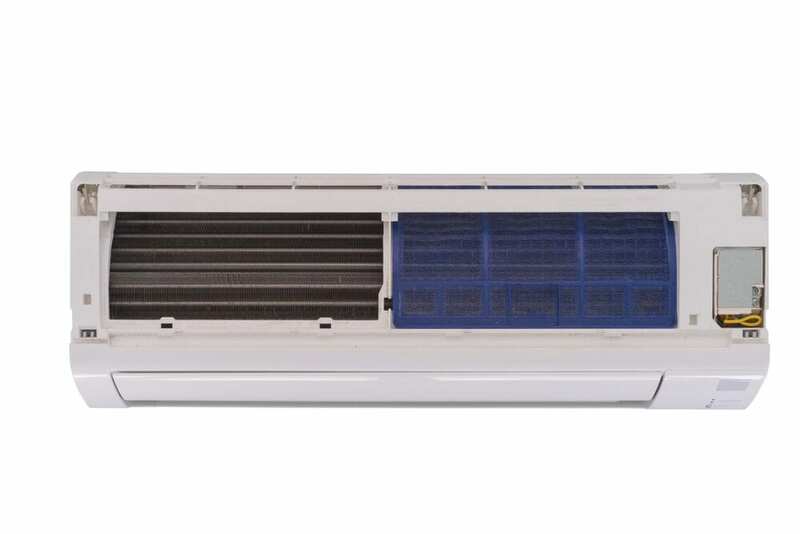 While air circulates during cooling cycles, it has to omit condensation from cooling coils inside the condenser unit in the air conditioner. If the condensation is not eliminated, it may freeze to the cooling coils and result in system freezing up. In the end, it will cause the system to overheat. During heating cycles, the system operates too much harder. With a lack of proper airflow, the system elements are getting hotter and hotter. The heated air is kept inside and makes the system overheat. In addition to these air filter problems, the dirty or clogged air filter is increasing the amount of dust in rooms in your house. The dust is accumulating on the surfaces instead of being omitted and blown away by the air filter. It is a direct result of decreased airflow in the house as well. On the other hand, because of the lack of air circulation, the amount of air pollution in the house is increasing dramatically. A dirty or clogged air filter will trigger flare-ups and attacks on those who have asthma, respiratory problems or allergies. Using the wrong size air filter is one of the air filter problems which can decrease the air quality at home and puts a strain on the system. Air filters of the HVAC and AC systems come in various sizes. Every HVAC and AC system uses a special sized air filter. It is crucial to use the accurate size for your HVAC or AC system. Issues can outgrow in case you keep using an improperly sized air filter. Under-sized air filters – Smaller filter on the top or the bottom leave openings in the center of the cooling and heating system. It means that while the unit is operating, it will draw dirt, pollen, dust, and debris into the system. So, these impurities will shorten the lifetime of the interior elements since they become dirty. They will put at risk your properties, as they will burn. No need to say that the system is blowing the contaminants that are not trapped through the air ductwork in the house. 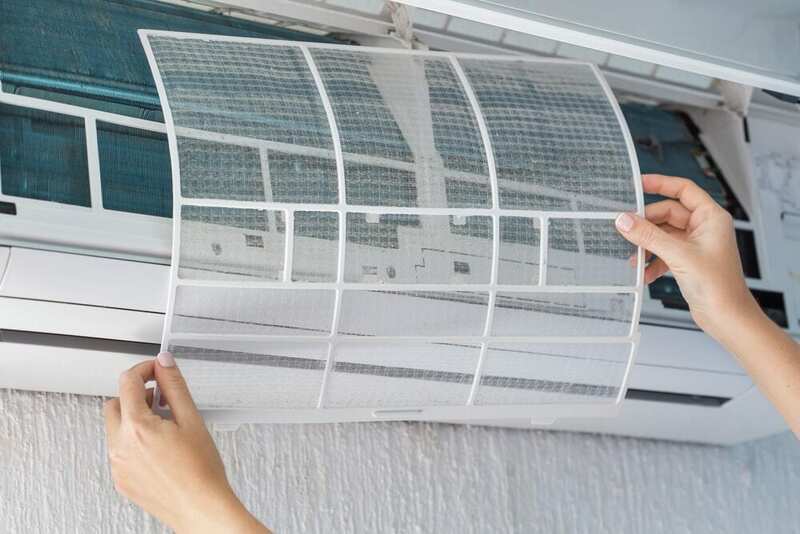 Over-sized air filters – You can force an air filter which is one or two bigger into the return air duct, and you may not think about the results. You probably believe “why can a bigger air filter be a problem?” Because bigger air filters can leave openings and small gaps around the outside of the return air vent. It also lets contaminants go inside of the heating or cooling system like under-sized air filters. There are different types of air filters, including basic fiberglass to high-end high-efficiency filters. While choosing an air filter for the heating or cooling system, it is essential to choose the one which your system supports. You can see “Minimum Efficiency Reporting Value (MERV) ratings on the air filters. You have to know that the higher MERV ratings do not always mean better efficiency. For instance, dense membrane material of the air filter will not let the air circulate. It will lead to similar problems like the air filter was clogged or dirty. Majority of the systems that are under ten years old can support up to MERV-8-rated air filters without any issues. But we highly suggest you consult with a licensed and qualified air conditioning specialist to confirm if your heating or cooling system can handle a MERV 8 filter or not. The higher MERV rated air filters are more capable of removing contaminants from the indoor air. If the system you own does not support a higher MERV rated air filter, you should get a lower-rated one and replace it very often. You can take into consideration to purchase a whole-house air purifier, and it will assist in removing contaminants from the air. In this way, a whole-house air purifier is going to hinder other problems. How often should you replace the air filters? The frequency of the air filter replacements depends on the type and quality of the current air filter you use. You should replace the air filter if you have a primary fiberglass filter. In addition to a basic fiberglass filter, although they are quite cheap and reasonable, they are not able to omit all the types of contaminants from the indoor air. It is always better to get a higher-quality air filter which lasts up to three months. These filters are better at eliminating contaminants from the indoor air. But, you have to check the air filter condition every month. 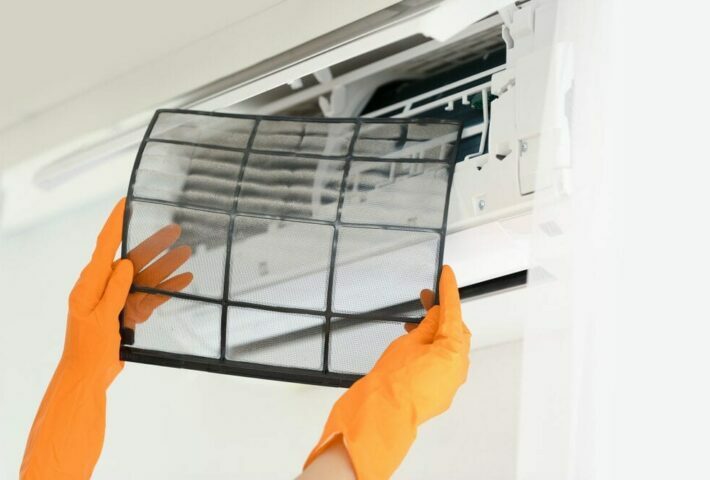 If the materials of the membrane are becoming black or grey or there has been a massive amount of pet hair and dander, dust in the air filter, you would like to replace it as soon as possible. 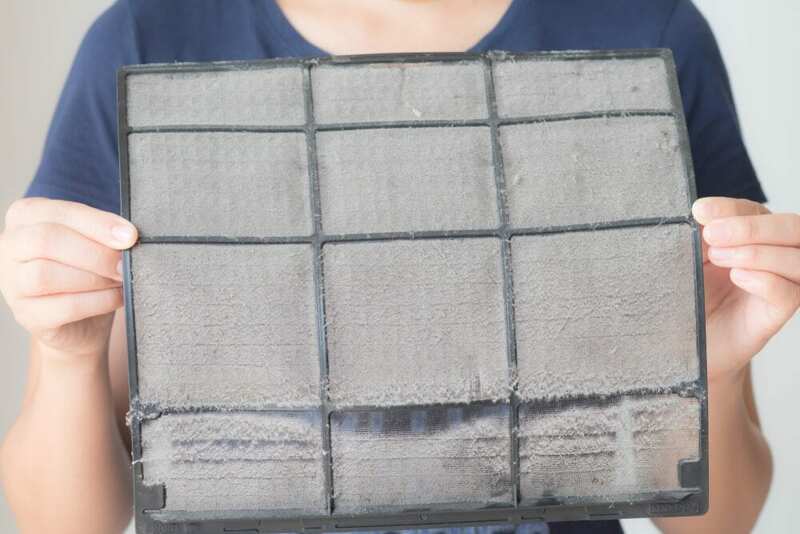 If not, although it has not been the full three months, the air filter can clog and oblige you to make an unnecessary air conditioning service call. 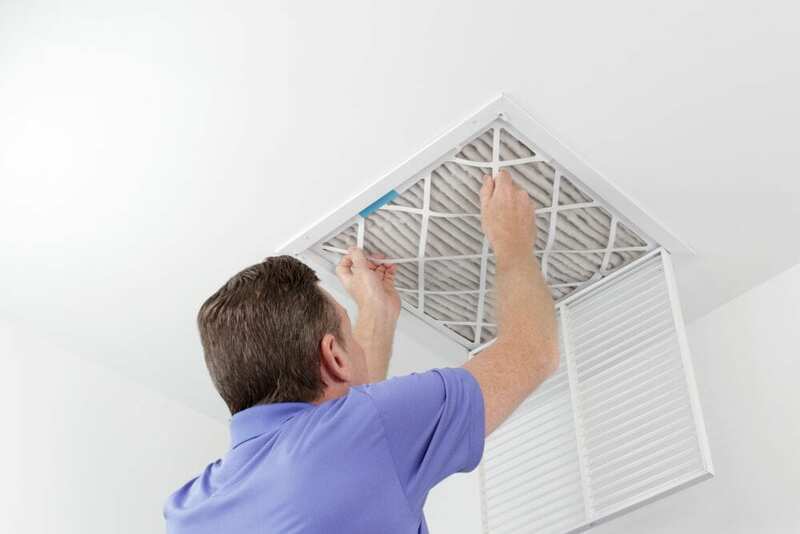 To conclude things and prevent from air filter problems: Check your air filter at least every month, and if it is required, you have to replace it, even it is rated for a long time; Make sure that you always use the right sized air filter; Ensure that your system can handle the MERV rated air filter that you purchase safely and effectively.